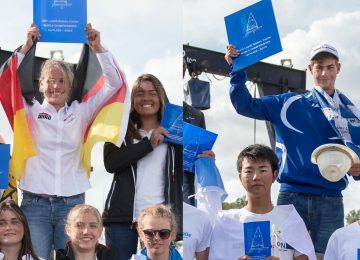 The first 14 Laser Men’s places for Tokyo 2020 were awarded yesterday at the 2018 Laser World championships in Aarhus, Denmark. 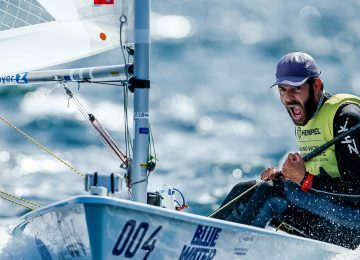 In addition to Cyprus and Germany’s Olympic spots achieved by Gold medalist Pavlos Kontides and Bronze medalist Philipp Buhl, six other great European sailors had also qualified their countries to the next Olympic Games. > Read Second World title in a row for our reigning European champion Pavlos Kontides. Those are Elliot Hanson GBR (5th), Hermann Tomaasgard NOR (6th), Jean Baptiste Bernaz FRA (9th), Kaarle Tapper FIN (12th), Karl-Martin Rammo EST (17th) and Tonci Stipanovic CRO (20th). 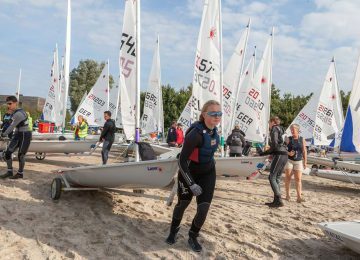 Finland, France, Germany, Great Britain and Norway had also secured a Laser Women’s spot so happiness is double! 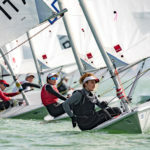 > Check European nations got 15 of 18 first Laser Women’s spots for Tokyo 2020. 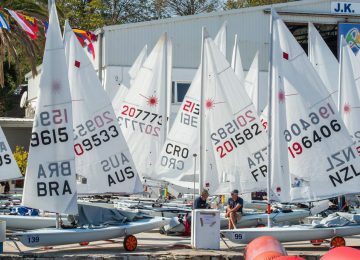 65 nations were represented in the 165 boat fleet, the largest in Aarhus. So qualifying was not easy at all for our brave athletes. 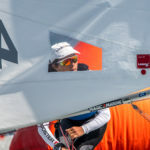 We must highlight the nice welcomed trouble the British Sailing Team will face from now to select their representative, with 4 sailors finishing within the qualifying frame. Nick Thompson (8th), Michael Beckett (10th) and Lorenzo Chiavarini (18th), escorted earner Hanson. 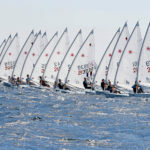 The Australian Sailing Team will also face GBR’s desirable issue, with Tom Burton (7th), Finnian Alexander (13th), Luke Elliot (15th) and Mitchell Kennedy (16th) among the Olympic qualifying range. 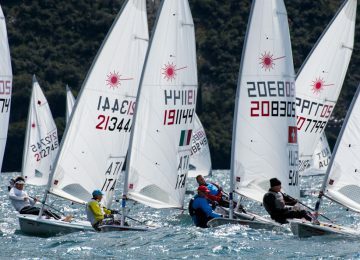 New Zealand had also placed more than one sailor among this first Olympic spots, with Thomas Saunders finishing on 14th place overall. Japanese sailors were represented in all fleets so as host nation, receive an entry into every Tokyo 2020 Olympic sailing event. 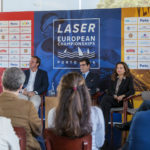 By Agustín Argüelles – EurILCA | Photo: Pedro Martínez – Sailing Energy – Aarhus 2018. 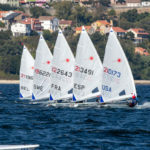 Sailors could finally enjoy of racing today in Split, Croatia, where the 2017 Laser Master World championships are being played.